This article by Robert Loerzel originally appeared in Playbill magazine in March 2010. Chicago used to be the kind of town where actors were afraid of saying words like “hell” or “damn” on the stage. And taking off their clothes during a play? Unthinkable. These days, smoking a cigarette is just about the only thing that might draw a fine; playwrights and directors can be as shocking as they want to be. 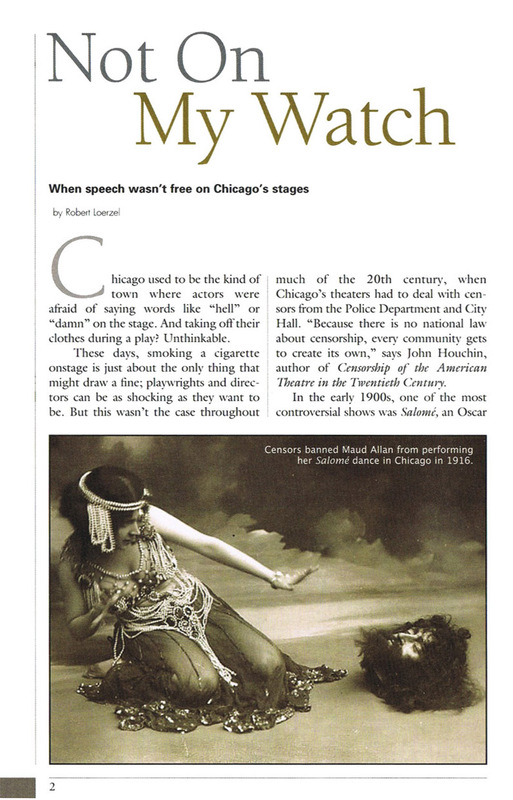 But this wasn’t the case throughout much of the 20th century, when Chicago’s theaters had to deal with censors from the Police Department and City Hall. “Because there is no national law about censorship, every community gets to create its own,” says John Houchin, author of Censorship of the American Theatre in the Twentieth Century. 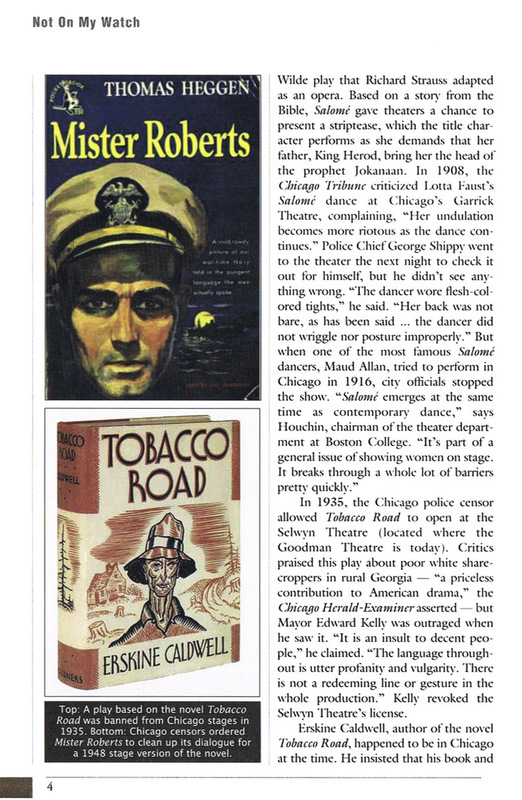 In 1935, the Chicago police censor allowed Tobacco Road to open at the Selwyn Theatre (located where the Goodman Theatre is today). Critics praised this play about poor white sharecroppers in rural Georgia — “a priceless contribution to American drama,” the Chicago Herald-Examiner asserted — but Mayor Edward Kelly was outraged when he saw it. “It is an insult to decent people,” he claimed. “The language throughout is utter profanity and vulgarity. There is not a redeeming line or gesture in the whole production.” Kelly revoked the Selwyn Theatre’s license. The producers of Tobacco Road sued the city, but they lost their case on appeal. So they took their show on the road to Milwaukee. The mayor of that city sat in the audience on opening night, laughing approvingly at all the jokes. 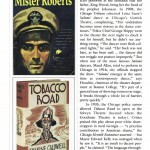 Tobacco Road was not produced again in Chicago until 1972. 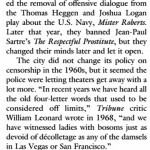 In 1948, Chicago censors demanded the removal of offensive dialogue from Thomas Heggen and Joshua Logan’s play about the U.S. Navy, Mister Roberts. Later that year, they banned Jean-Paul Sartre’s The Respectful Prostitute, but they changed their minds later and let it open. The real test came when the musical Hair arrived Chicago after a successful and controversial run in New York. Hair’s producer, Chicago native Mike Butler, knew how to deal with censors. “He just had an army of lawyers, and anytime they were not granted a license, he took them to court,” Houchin says. “And he got a couple of Supreme Court decisions.” When the cast of Hair briefly stood naked on the stage of the Shubert Theatre (now the Bank of America Theatre) in October 1969, the police were nowhere in sight. 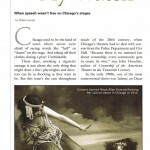 The age of censorship in Chicago theater was over.